Although weighed down by her backpack, bedroll and fishing rod, Maggie maintained a sightseeing pace and altitude. Maine pine and Moosehead Lake sprawled beneath the flying witch. 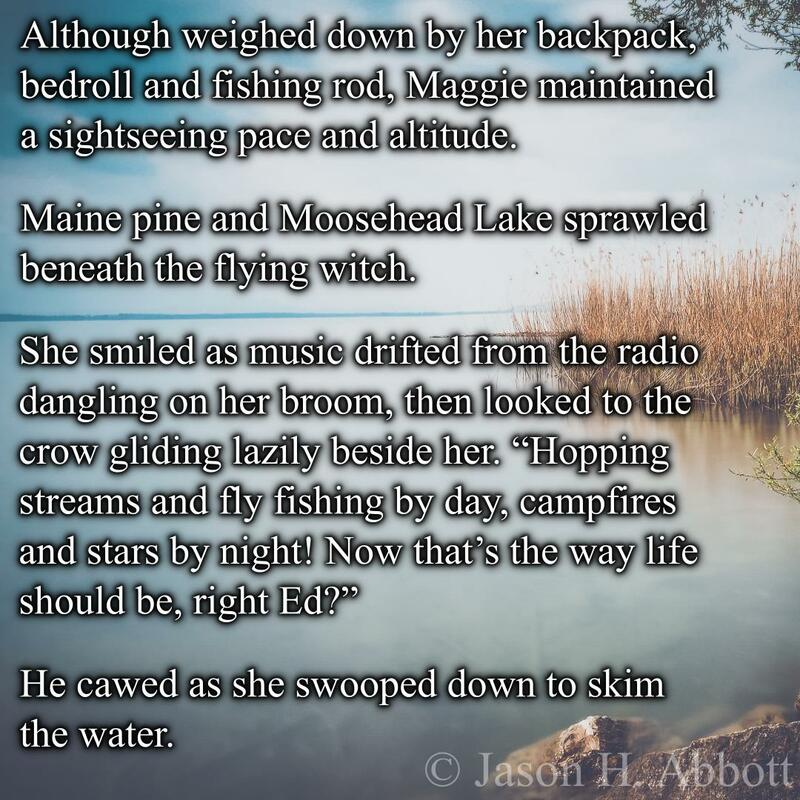 He cawed as she swooped down to skim the water.